Youtube's Original shows will soon be available for Free! Youtube’s Original shows will soon be available for Free! YouTube has announced that plans are underway to remove its original programming from its paywall. Instead, YouTube Originals will be availed freely and will be supported by ads. In what is viewed as a complete change of strategy, YouTube has announced that by 2020, users will be able to watch its original programs without having to part with some penny. This is totally different from the current situation where users are required to pay a monthly subscription. To ensure that there is still a flow of revenue, YouTube Originals will be supported by ads. This means that it will be similar to other types of content that are generated on this Google-owned site. YouTube has coined a new name for this new strategy. It is known as ‘Single Slate’ because it combining both the ad-supported strategies and the Premium Originals. These two programming strategies will exist as a single unit. It is also expected that YouTube will expand the number of programs and shows in this new programming strategy. However, YouTube has clarified that not all the YouTube Originals will be affected by the new changes immediately. Some movies and shows will stay behind the paywall for some time before they are moved. However, all the YouTube Originals will be available for free in 2020. So what could have triggered the latest changes of strategy? Pundits claim that the changes could because of the poor performance that has been posted by YouTube Originals. The stiff competition from other platforms that are providing original programs can also be blamed for the move. Such platforms include Netflix, Hulu, and even Amazon. It is also rumoured that YouTube has been underfunding the YouTube Originals. This is totally different from other streamers such as Netflix who have pumped in billions of money on programming. 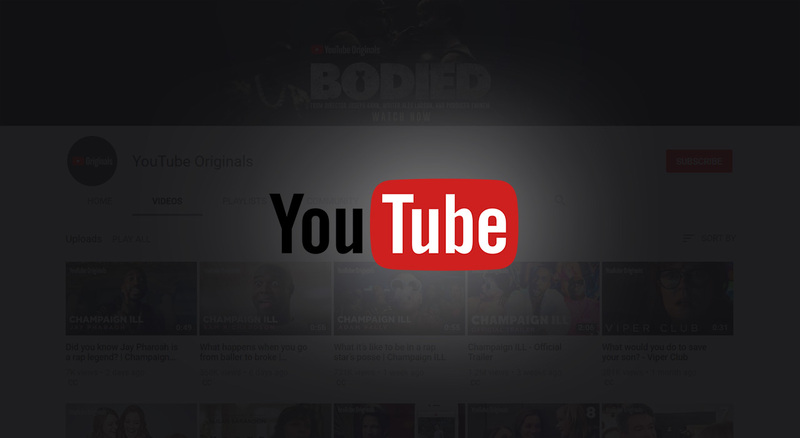 The lean budget made it difficult for YouTube to compete favourably. Even as we brace ourselves for the upcoming changes, it will be just to look at the history of YouTube Originals and see how it managed to reach where it is now. The streaming feature started back in 2016 and it was initially known as YouTube Red service. Subscribers were required to pay $11.99. The journey started becoming tough almost immediately after the launch. Some of the shows and vlogs such as PewDiePie were scrapped off because they violated some rules. The programme picked up and started broadcasting several premier shows and movies. Big Hollywood names such as Kevin Hart and Ellen DeGeneres utilized the platform. Also, YouTube pumped some good money into the initiative making it a competitive player. The move to support content through ads will definitely have a direct impact on the finances. It is predicted that the budget for the scripted content will drastically go down. Although YouTube has not yet confirmed, it has already paused the buying of scripted content. On the other hand, the audience for the YouTube Originals is expected to grow by big margins. “We expect to meet the demand of the growing fan base,” said a YouTube spokesperson. The company promises to continue investing in scripted content.